I’ve been stopped from participating in the UAF election. I need your help to kick out David Cameron. So I found out yesterday that I am not allowed to run for a position in UAF due to a mistake made by my union branch. UAF rather than giving me an opportunity to correct the mistake have refused to let me stand citing bureaucratic reasons. Who would have thought trying to get rid of David Cameron from UAF would be so controversial? In response, I with others have formed this statement which essentially calls for UAF to change in the ways that I pledged to do in this piece. Please add your name in the comments and via social networks. I’ll be printing off the names on Saturday 25th Feb at 8am so please add your name by no later than Friday 24th 11pm. 1. For UAF conference to become a democratic forum for anti-fascist activists to elect officers and debate policies, strategies and tactics. Holding committee elections is a step forward, but only a small step. We need much more open elections (with proportional representation, not just a list of individually elected senior positions) and motions allowed to conference. 2. A commitment to direct action and mass mobilisation to no platform fascism. No to calling for state bans. 3. For UAF to put forward concrete, positive, working-class solutions to the problems the fascists exploit. UAF is not a political party, nor should it become one. But without commonly agreed positive demands, we are fighting with one hand tied behind our back. Our basic message needs to be: black and white, all religions and none, British-born and migrant â€“ workers unite and fight for decent jobs, homes and services for all, and against all forms of racism. 4. As a logical part of this, we should break our links with fake “anti-fascist” politicians. We want unity on the basis of a common struggle, not a bare willingness to say “Fascism is bad”. This includes breaking links with eg Tory and Lib Dem MPs. We should begin with a strong public renunciation of links with David Cameron. 5. A strong drive to build broad, democratic local groups, ideally based on the organisations of the labour movement and Black, Asian, Jewish and other oppressed communities. Please add me as a signatory to the statement. Outrageous UAF are excluding you from elections, Justin, although you could take it as a compliment. You’d think they’d be a bit careful baring their undemocratic credentials. Please add me to the list. Please add me as a signatory to the statement. Best wishes. Count me in this is ridiculous! Add me as a signatory brother. Hi Justin, please add my name to the list. Add me to this. I’d join UAF if they did this! What’s a fake “anti-fascist” politician? A politician that pays lip-service to anti-fascism yet endorses or carries out discriminative policies that punish minority communities such as LGBT communities, ethnic or cultural minorities, that deny their basic human rights and subordinate them to the state. Rather than combating fascism, they capitulate to it. Example: Dale Farm, or migrant cap on African & Asian migrants. When I was in an Essex branch of the UAF we had countless debates about whether it was OK for Cam to be in there. This was at a time when he was not the PM, so it was easier for those who said let him stay to pretend he was some figure of neutrality. I didn’t want him there, but I didn’t raise my voice too much because those on that same side didn’t want him there only because he was a Tory – which I didn’t find an attractive policy, particularly as anti-fascism is non-party political and I think it very possible a conservative (an indeed a Conservative) can be anti-fascist. Anyway, I ramble. Cheers Justin. I hope I bump into you soon. Hi Justin, please add me as a signatory. Please add my name Justin. Add me to the list. My view is that we should be a non party political platform for people willing to stand up and fight racism and facism. That automatically exludes various ‘friends of israel’ types as well as those bring destitution to the working class thus duelling division. Cameron is in a class of his own and who can forget his speech in Munich that effectively supported the aims of the racist EDL. Ever since labour mp’s split in 1980s to form SDP working class people have been increasingly split. This serves not just the capitalist ruling class, but also racists and facists. Under the banner ‘unite and fight’ we can give leadership and direction when it is most needed. When the truth comes out about this, you will look a plank, Justin. Uaf, after all, initiated a petition against Camerons attack on Multiculturalism, last year,after his Munich speech. Hardly a ringing endorsement of Dave… You buggered up your own nomination, and then have the cheek to blame your union branch for this! Your fake outrage might fit if you had followed basic rules, well known in the labour movement re getting nominations and in time,to stand, u didnt follow them and then u cry ‘foul’, pathetic. Your attempt at standing was never serious and now u attempt to pose as a victim, sad, grandstanding like this. We dont need pseudo martyrs, things are too serious. My branch made a mistake, that is the truth of the matter. I haven’t made myself into a martyr, I’ve stated the truth and allowed people to come up with their own conclusions. Why won’t UAF publicly reject any endorsement from David Cameron? You think a petition is enough? You can add my name. Has anyone even bothered asking why he couldn’t stand? Justin isn’t even in UAF. Not being member of an organisation is hardly that organisation blocking you. If I wanted to stand for a position in the Labour party I’d have to actually join. I quite fancy an elected role in the RMT. When I try to stand and they point out I’m not actually a member I’ll make sure to misrepresent it as them blocking me! That’s crap, I’ve been members of affiliated organisations which makes me a member and have been sent as a delegate in the past. I’ve paid up recently and am an individual member now as well. I was asked by my trades council to attend this conference, but unfortuantely had a previous appointment. We have another delegate who as it happens is SWP. I would have been interested in the prospect of a democratic discussion in UAF and election of leaders, as a change from just listening to speakers telling us why we should be anti-fascist. Our late comrade Alf Filer who played a big part in mobilising people to stop the EDL in Harrow had also worked for this, and obtained promises things would change. Tragically Alf was killed in a road accident shortly after moving to the south coast. I think you raise some valid issues, though I would disagree on some of your conclusions. But we need the discussion to clarify the matters. All too often we have people saying “we’re your leaders, trust us” and relying on appeals to loyalty and demagogy to silence dissent and suppress the level of political consciousness – it haned with the Stop the War coaltion too. Then they wonder where the numbers and enthusiasm have gone. As regards the contretemps over papers going through in time, in my experience this sort of thing often happens. Last week I had to move a motion from my trades council at another body, and it was only after it had been discussed and passed, and prioritised for the annual conference of trades councils in May, that I discovered our affiliation fee had not yet arrived. The chair told me if it did not come in soon the resolution would fall – but he said it with a wink, so to speak, knowing the fee was on its way. (he’d spoken tour branch secretary on the phone). The point is that our resolution, concerning workfare as it happens, was treated as more important than procedure. Mind you this was in an official TUC-recognised body, part of what some people I’m sure would decry as the “bureaucratic” trade union movement (though as it happens none of our members are bureaucrats). It is a pity when so-called socialists known in the past for supporting “rank and fileism” and even (when it suited) claiming to be “libertarians” (as I am old enough to recall) should need lessons in working class democracy from the official trade union movement. Maybe they won’t let you stand for election because you think you can win the fight against fascism by trying to push out those you disagree with politically. Making anti-fascism a minority interest is not going to help matters. Making anti-fascism only about saying no to the BNP but allowing institutional racism to go unchallenged won’t stop racism and fascism. Having a broad alliance is good, reducing your opposition to just the lowest common denominator strategically is useless. Why would ordinary people get involved if we are not prepared to condemn and withdraw support from those who work against us? Gah, I’m a bit late. If you happen to be collecting names a bit later than expected do add me (I guess Queer Resistance, Mutiny, NUS or Cambridge USU if an organisation’s helpful). I think you might be right there, Wavy…and *that* is the point. 2. The whole point of UAF is that it is set up to oppose a particular political ideology. 3. Cameron is far, far closer to that ideology than he ever will be to mine. Let’s stop the Nazis. If it means linking hearts, arms and minds with Tories, put temporary but real unity â€¦ real unity against Nazis whatever their views â€¦ our only proper wish in this campaign. Come on â€¦ seriously, if you put parties before a genuine united front, you’re a worthless sideline critic. Unite against fascism?!!! I’m not in any political party (I dislike all), if you think stopping fascism means aligning with any “institutional racist” who isn’t a “Nazi” then your idea of anti-fascism hasn’t got any solutions nor in my opinion will be genuinely effective. Would you endorse the capping of migrants to stop the “Nazis” what about the discrimination of some European migrants? If you are willing to link arms and minds with those who seek to make the poorest pay for the economic crisis then your “unity” will be composed of the liberals and Tories, ordinary working class people, affected migrants, and people with disabilities will reject it. The best way to oppose fascism isn’t finding the lowest common denominator but find the highest possible common goals among ordinary working class people and migrants. 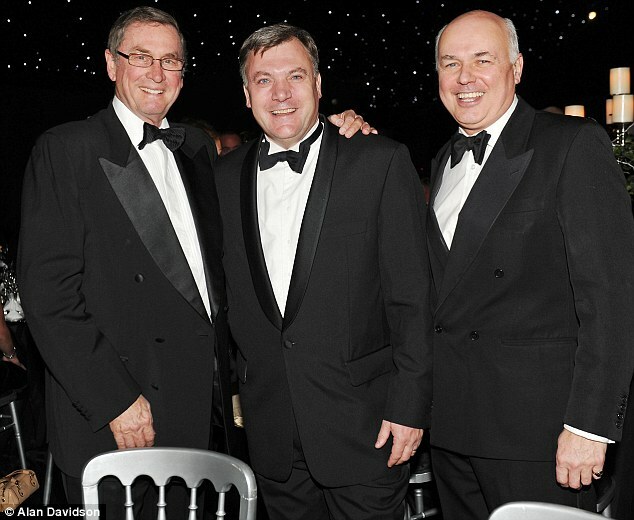 There used to be a slogan “Black and White, Unite and Fight” now it seems to be “Socialist and Tory, Celebrate Misery!”. What a joke.